Edited 12/4: All of the deals in this are now dead (the Amex/Amazon $25 died this morning). You can still enter until 9pm tonight, but the rest of the post is now a history lesson, not a current event. I’m giving away two United Club passes which I didn’t use this past week during my travels. They expire 12/31/13. To enter, answer any of the 4 questions below, between now and 9PM Pacific on 12/4/13. I’ll pick the winner and announce her/him on the morning of the 5th. Like these passes, I want to remind you of a few things which have ended or are ending pretty soon. I’m also interested in your feedback on them. I’ve included specific questions, and would love to hear from you about these four topics. 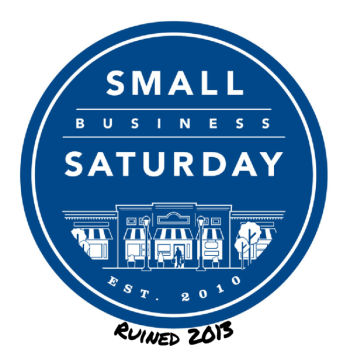 Absolutely not as good as last year’s Small Business Saturday. I ended up just running 7 of my cards on my square reader–it wasn’t worth it to me to drive out and try to find a store that would let me split my purchase among 2-5 Amex cards–and I wasn’t going to go out and spend $20-$30 on each card. American Express has sort of made up for this with a new amazon promo, but I’d still love for SBS to go back to $25 per card next year! Question #1: What did you use your SBS $10 allotments for? Over the weekend it was announced that Amex Sync was offering $25 off of a $75 purchase at Amazon.com. After my above upset re: Small Business Saturday, I was happy to see a deal like this come along. I’ll be estimating my Amazon purchases for the year, and registering enough cards to buy Amazon GC’s in $75 increments. The signup is similar to the SBS page–and allows you to handle multiple cards all at once. I’ll probably register all dozen or so of my Amex cards just in case something great comes up. Amazon also seems to sell retailer GC’s, confirmed by F2B blogger Miles, Points, and Mai Tais–so you could use the $25 off $75 deal to buy these gift cards instead. $75 in Starbucks gift cards for $50 is a great deal for someone like me. Three $25 Subway gift cards for $50 is also a great idea if you shop at subway a lot. Question #2: What would you use this $25 off $75 deal for? The details of the Safeway deal can be found in the Milenomcis post here. The Albertsons’ Deal is in this post. The deals are different– I’ve been using the Safeway deal to purchase large denomination gift cards (up to $500), and earn a $10 off coupon. The net on this is $4 in “free” groceries. This deal is the best MMR out there in my book. I’m seriously well stocked up on paper products, and all other non-perishables right now, so I’m looking for ideas on what to buy should I get a few more of these coupons today or tomorrow. Question #3: What is your “go to” item to buy with these Safeway $10 off $10 coupons? The Albertsons deal is a bit different–I’m not treating it as a MMR because I earn just 106-212 miles per $100 GC. Instead I’ve shifted my nonperishable shopping to Albertsons–meat, seafood, fruits even. In doing so I easily pocket the $6 from the cost of the GC, and have even found great prices on a lot of items, much more reasonable than Safeway. My strategy is to buy three GCs in three separate transactions. When I return to use my coupons, I break my shopping up into 3 groups, of $20-$30 worth of groceries and another $100 GC in each. I’ve been daisy-chaining in this way, so I constantly have 3 x $20 coupons. Question #4: What has your experience been with the Albertson’s deal? I hope your Thanksgiving was great–and you spent it well. Travel is great for bringing people together; as advanced as communication gets there is still no replacement for being together. Again, Today, tomorrow and Wednesday you can enter to win the passes, I’ll pick on winner at random, and to enter you just need to answer one of these 4 questions above. Limit 1 entry per day. Passed on it this year. $10 wasn’t enough to have us make a purchase. The $25 was good in the past. Going to buy the Kindle PaperWhite! >>> Question #2: What would you use this $25 off $75 deal for? $25 off $75 Amazon going toward new HDTV! Q2 – I did register all our Amex cards and so far bought a $75 gift card. I will do as you plan to – try to determine how much we’ll spend in the near future and buy more GCs to cover it. Q3 – Since I buy lots of stuff at Costco, I look for items I can’t buy there. Non-Costco shoppers could buy canned tuna, detergent, paper goods, foil. I have been using my $10 and $20 coupons for stocking up on cereal I can’t get at Costco, items that are on sale that week, produce and ice cream. Oh, and turkey breast and ground lamb! Missed your blog while you were traveling – Hope you had a good Thanksgiving! Great tips Elaine, and as always, thank you for the kind words. I did have a good trip–bittersweet in some ways as our family was not complete, but the food was great, and the travel went smoother than I expected. We flew US airways out and Untied back. Incredibly tacky experience with United. Chase ads literally plastered all over the place (ORD), on walls, huge banners, on the jetway, the monitors at the gate. In the seat pocket, on the tv. We get it… you love each other. I really thought it was a joke at first. That used to be my go to as well. *sniff* thanks Amex… way to ruin SBS. i bought my dogs a bag of dog food from an independently owned pet store. I went to a resto for SBS, bought a $100 gift card and had them split the check 10 ways. In and out in less than 5 minutes! #1: I used one for meal at a local restaurant with the wife. The other at a local market on some snacks. #2: I used one for some Xmas presents for family and the other for a $75 GC for the account(which I have already spent some more presents). #3: We drink a lot of soda, so deals on 12-packs has been the “go-to” move. Also used these as a chance to buy food to donate to charity drives. #4: Here we do get the $20 coupons, which makes it easier to use. We have split up grocery list and go back most days for something. For SBS? Beer, pizza, records, and gelato. 1. We used our SBS at Ace Hardware at purchased a light bulb, baking soda, a knife sharpener, and grounded adapter for traveling. 2. We bought a wi-fi enabled electronic picture frame for our grandparents in England, so all our family members can add pictures easily from anywhere in the world for them to see. I used it during cyber Monday. Amazon reduced their Kindle Fire HD 16GB to $119… With the $25 discount, it was only $94!!! SBS I went to a local hardware store, and for Amazon I bought a book (how old fashioned of me). Q2-Christmas presents for my kids.